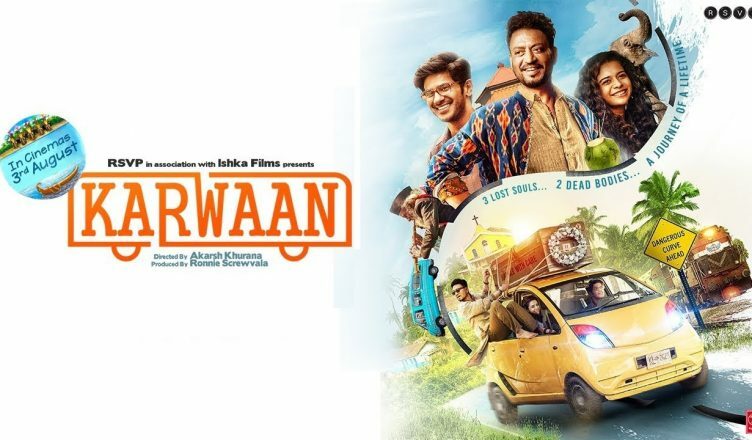 Karwaan could have been a great road trip film as it had all the required ingredients – quirky plot, madness involving a dead body, characters with contrasting personalities compelled to travel together, talented actors, beautiful locales etc. Sadly, the script fails to do justice to a fine idea. Even Akarsh Khurana’s direction couldn’t do much to save the film. The film moves very slowly and some developments are added just for the effect. What works are the performances and some genuinely funny and well-written and executed scenes. Irrfan Khan shockingly doesn’t seem to be in full form. In the recently released Qarib Qarib Singlle (also a road trip film), he seemed so great and the humour quotient associated with his character was so organic. In Karwaan, in some scenes, he tries too hard to raise laughs. Thankfully, in many other sequences, he enhances impact as well. Dulquer Salmaan is brilliant and does a fine Hindi debut. The way he gives such a measured and at the same effective performance is praiseworthy. Mithila Palkar has a lot of potential and has such a striking and beautiful face. She is decent but she’s let down by the lack of depth in her character. Habib Azmi (shehnai wallah) has the funniest track in the film. On the whole, this one is an Average fare!